The Kyocera Rally was released for T-Mobile USA in May 2015. The Rally is a candybar style feature phone running Brew Mobile Platform. This model has a 1.8″ display with 128×160 pixel resolution. It also has a 0.3MP camera. This device uses a single core processor and supports up to 32GB of internal memory. Unfortunately this model does not support wi-fi, camera flash or autofocus. However, you can still access the internet with a data connection and it supports bluetooth and GPS. 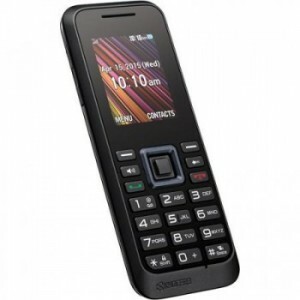 Once unlocked, this model can be used with compatible GSM carriers only. Unlocking your Kyocera Rally is fast, simple and 100% guaranteed by Cellunlocker.net. Why Unlock your Kyocera Rally with Cellunlocker.net? Unlock Your Kyocera Rally Today!